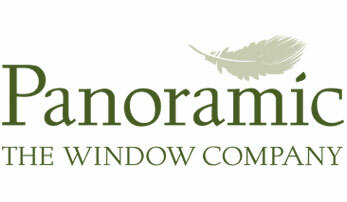 Beautiful, premium quality Windows by Panoramic. Professional Kitemark approved, double glazing window installation in Bristol & Bath. 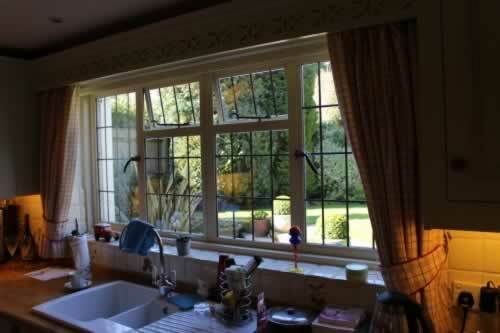 Aluminium, Steel, Timber & UPVC Windows. Design and advice service for all customers. 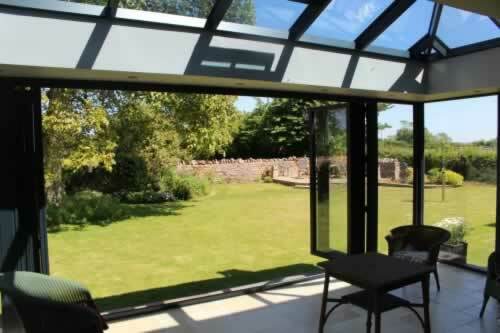 Designer Sunrooms and Conservatories by Panoramic Windows in Bristol. Professionally installed Timber, Aluminium or uPVC buildings. Design and illustration service available. New Atlas Skyroom now available. Secondary glazing is the best option for listed buildings or for a quick cost-effective alternative to double glazing. Wide range of styles and colours available. Ideal for noise reduction, thermal efficiency and condensation control. Professionally installed aluminium system. Solidor Composite Doors Premium Installer. Wide range of bi-fold doors, french doors, patio doors & residential doors. Ask about out composite, timber and upvc ranges. Wide range of colours and finishes available. Welcome to Panoramic... Celebrating our 40th anniversary. 40 Years of Service. 40 Years of Excellence. Panoramic Windows started trading in 1978. We’ve been helping customers in the Bristol, Bath and surrounding areas with double glazing for their windows and doors ever since. We pride ourselves on the quality of our double glazing products and the close level of service we offer our customers. That’s how we’ve reached our 40-year milestone. Our customers in Bristol, Bath and the local area know they can contact us for impartial advice about our wide range of double glazing products and a no-obligation quotation. At Panoramic, we’ve taken time to source our double glazing from market-leaders. This means that your new windows, doors, conservatory or secondary glazing will look stunning and reward you with outstanding long-term performance. Crittall, Roseview, Evolution and Atlas are just some of the market-leaders that we’re aligned with. For your additional peace of mind, we’ve also been independently assessed and have achieved Assure Certification Installer status and have been accredited with the coveted British Standard Kitemark. If you’d like to find out more about our double glazing and live in or near Bristol or Bath, please contact our experienced team on 01179 560321 or send us a message. You can also obtain an online double glazing quote by using our free design tool. Whether you need double glazing for your home improvement project in Bristol or Bath or want to replace an existing window or door, Panoramic can help. Customise your double glazing by choosing from a range of strong and durable materials that will add market-appeal and value to your home in Bristol. Whatever your budget or design aims, the Panoramic team will help you make the right choice. 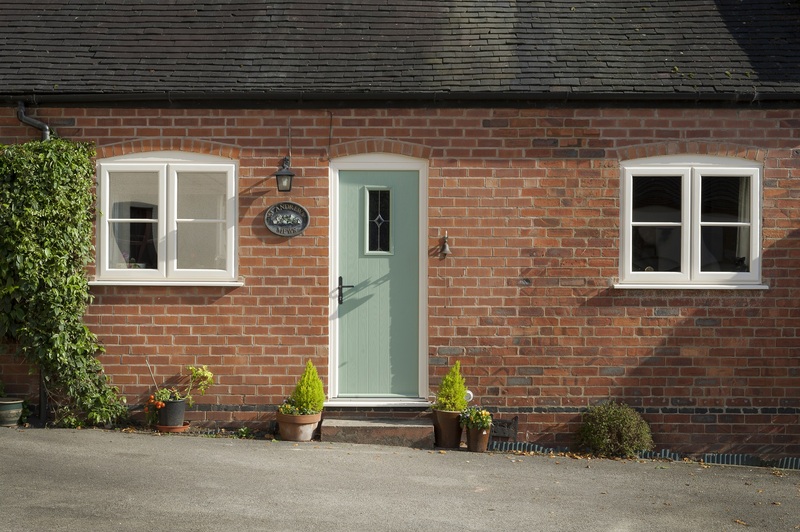 Aluminium, uPVC, timber and steel are just four of the materials you’ll be able to choose from when refining the design of your new doors, windows or conservatory. To discuss our range of materials and the associated benefits of each, contact us. If you’re looking for double glazing in Bristol for a project or a one-off installation, you’ll be able to find what you need when you choose Panoramic. The casement window continues to be an enduring choice for homeowners living in Bristol, Bath and throughout the UK. We can install your product using single, double or triple glazing and can add astragal or Georgian bars to create a multi-paned effect. Are You Extending Your Home? Our customers in and near Bristol and Bath are frequently deciding to extend their home instead of moving. Building a conservatory, orangery or sunroom is often cheaper than enduring expensive legal fees and higher mortgage repayments. Our double glazing can be used to create conservatories, orangeries, sunrooms and more – and to your precise specifications. But which of these options offers the best value for money and will suit the requirements of your project? Orangeries and conservatories continue to be popular. The former of these is characterised by brick pillars, less glass and a roof lantern. A conservatory uses glass extensively throughout its design and often features a dwarf wall. To discuss the full range of options, call our team on 01179 560321. 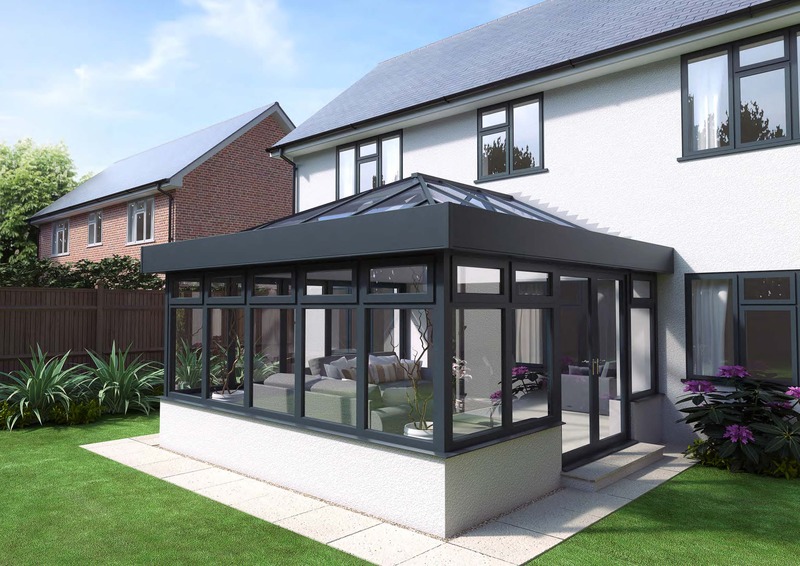 Perhaps your home in Bristol included a conservatory, or you asked a local firm to install one a long time ago. In either case, it could be that your double glazing is being let down by a poorly performing roof that’s allowing in cold air and damp. Instead of starting again, ask Panoramic about its replacement conservatory roofs. We can also introduce you to our Skyroom – a largely glass-based system manufactured by Atlas and which conceals the ceiling pelmet within. Alternatively, many customers choose a solid roof such as Guardian or Lekka. 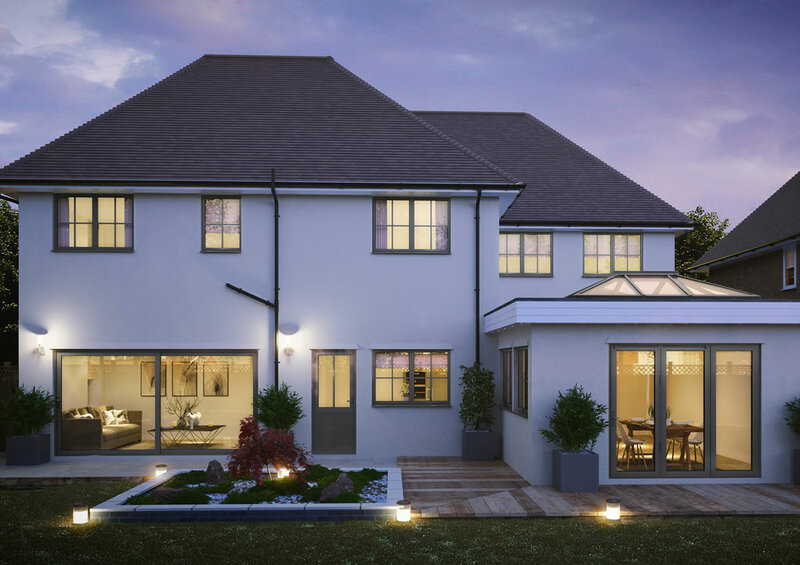 The solid roof option provides unrivalled insulation in the winter and provides shade in the summer. Combined with innovative LED lighting, this can be the perfect solution for south facing projects in the Bristol and Bath area. What If Double Glazing Can’t Be Used? Sometimes, double glazing isn’t an option. Perhaps your home in Bristol or Bath is in a heritage area or located at the top of a block of flats. In cases like these, secondary glazing is the best solution. 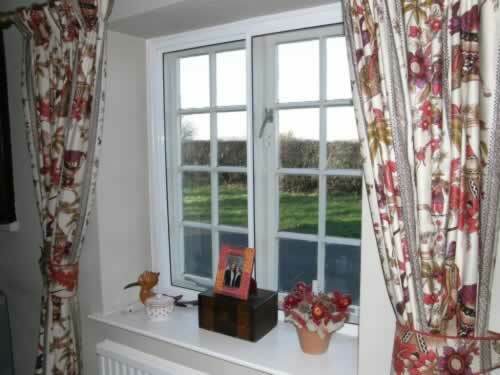 Secondary glazing fixes directly onto your existing doors or windows and can be removed. You’ll still be able to clean your existing double glazing and let fresh air in during warmer weather. Our secondary glazing can be designed to match the shape and movement of your existing windows to provide design continuity while delivering enormous gains in heat and sound insulation. Panoramic can install a wide range of doors throughout Bristol and the local area. Whether you want an entrance door or double glazing to lead visitors into your garden in style, you’ll be able to find your perfect product when you choose Panoramic. 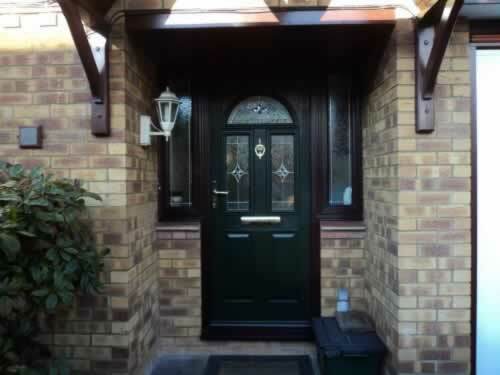 Composite doors are strong and visually stunning, which means they work superbly as front entrances. Bi-fold doors open to near threshold length to create a wide access point and better views, which is why they’re normally sited to the rear of a property. Discover our doors in more detail by contacting us for double glazing prices and technical information. We’ll talk you through the benefits of each style and discuss how you can customise your product to suit the themes and schemes of your home in Bristol. Crittall is an established name for all the right reasons. Manufactured using traditional methods, the Crittall Window or Door is an artisan product. Handmade throughout the production process, each installation we complete is unique. Our range of Crittall doors and windows offers incredible strength and unrivalled durability – all of which is underscored by incredible sightlines that will catch the attention of anyone visiting your home in Bristol or Bath. At Panoramic, we have a “When You are Ready” policy, which means we won’t try and pressure you to buy our double glazing. Instead, we’ll listen carefully to your requirements and make recommendations. 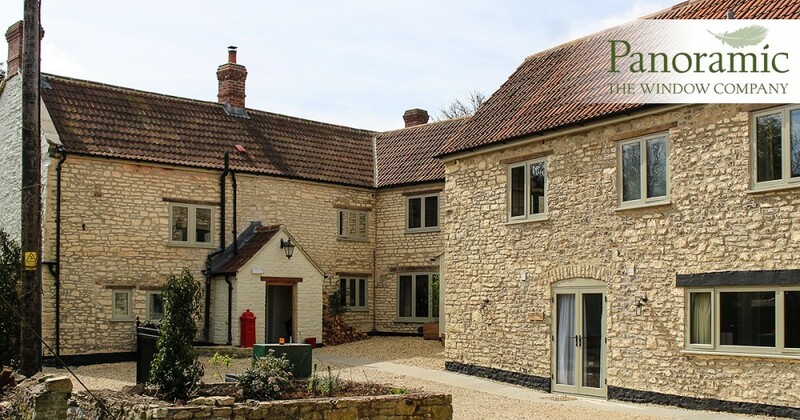 We can even come and see you at your home in Bristol, Bath or any of the surrounding areas so that we can take a closer look at the site, take some measurements, and provide you with the best advice for your double glazing project. We will never outstay our welcome. Our design consultants are simply the best in the region. They have over 100 years of experience between them and have each been worked for Panoramic for 15 years or more: a true testimony to the reliability of Panoramic and the team behind it. Contact us by calling 01179 560321 or sending us a free message. You can also make an appointment by booking online. Do you need double glazing prices in Bristol in a hurry? Then please use our online design tool to generate guideline prices (simply revisit the page if you need costs for more than one product). Underlying all the quality reassurance above is our cast iron guarantee which covers, for 10 years, all aspects of your installation from product quality to fitting. The Kitemark is one of the most revered product quality marks in the world, and its members are able to demonstrate that their products meet vital safety and performance requirements. At Panoramic, we take pride in supplying and installing only the finest, exceptional quality products.
" As a senior salesman for a top ten Financial Company, I don't suffer pushy or inept sales people gladly. So I was pleased to discover that, unlike other window companies, Panoramic didn't employ..."
" As my wife and I both work and I spend a lot of time travelling worldwide to negotiate aviation contracts, we were looking for a reliable local firm which would give us what we want and who we..."
" With my wife and I both being busy Physiotherapists, we were looking for a straightforward, no hassle service, and we found it with Panoramic. The whole process from start to finish was (no pun..."
"I write to thank you very much for the service and support I received from the Panoramic team today. I have had several installations undertaken by Panoramic , always to a very high standard. Today..."
"I am writing to tell you how pleased I have been with the service from yourselves. From the initial meeting with John Eickhoff, right through to the installation of our secondary glazing, I have..."